When I was 14, I remember watching an episode of the television show Emergency Ward 10. There was an old lady worried about leaving her cat and there was a social worker being kind to her. I thought it would be nice to have a job being kind to people, not realising then that social work was a complex undertaking involving a lot more than kindness. My first social work teacher, Teddie Stockbridge, taught me to value professionalism and hope. After graduating from the University of WA in 1968, I began working at Claremont Hospital. Travel and further studies followed then marriage and two children. In 1989 I returned to fulltime work at King Edward Memorial Hospital, becoming the Head of the Social Work Department of the Women and Children's Health Service - the amalgamation of KEMH and Princess Margaret Hospital. During my 17 years there, our team developed a strong community development model to complement our individual casework with patients and their families coping with obstetric, gynaecological and paediatric scenarios. In the 1970s I initiated the establishment of SANDS, a support group for parents grieving the death of their baby. It eventually became integrated with SIDS & Kids. At KEMH I established the Aboriginal Liaison Service. Throughout my career I have also been involved with social work education, including occasional lecturing and tutoring in social work at UWA until 2012. 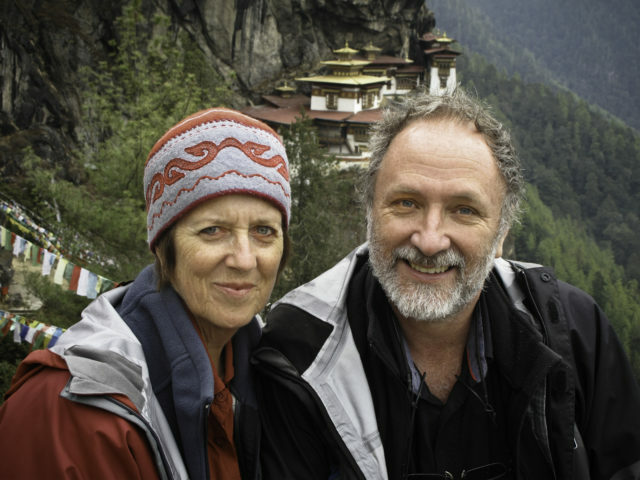 Since retiring in 2006 I have enjoyed extensive travel and authoring a book of photographs by my husband, Robert van Koesveld (Bhutan Heartland, Fremantle Press, 2010). Retirement has allowed me the privilege of returning to my central interests - creativity, learning and, yes, kindness. You meet amazing people. Once a year I am involved in running a respite weekend for mothers of children with special needs. Those women are heroes. They are in a difficult situation and they deal with it and just keep going. I was never motivated in the least by money or power or scientific discovery, but from an inner need to be helpful. On MLC: Walter Shepherd's comparative religion classes encouraged curiousity, tolerance and respect. I remember fun with friends, including running the Melbourne Cup sweep from the Prefects' room, despite Shep's lectures about the evils of gambling.